Could Lawmakers Decriminalize Drug Possession? A host of potential modifications to existing Maryland criminal and traffic laws are currently up for debate in Annapolis. Many of these modifications could greatly affect the criminal justice system, while others will grab headlines but have very little impact in courthouses throughout the state. One bill that could have a huge impact on the justice system is a proposal currently in the House of Delegates that would effectively decriminalize the possession of small amounts of controlled substances. We’re not talking about marijuana here, as possession of a small or de minimis quantity of pot has already been modified from a jailable misdemeanor to a civil infraction. 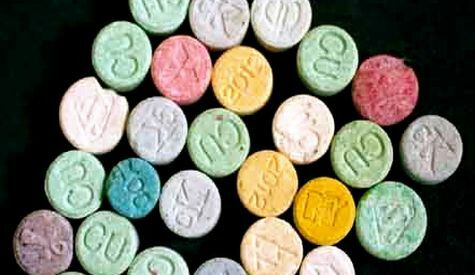 The lawmakers behind this bill want to decriminalize possession of small amounts of cocaine, heroin, MDMA, LSD, methadone and amphetamine as well. The proposed House law is similar to the Marijuana decriminalization law that eliminated the possibility of jail time for possession of less than 10 grams. The ten-gram threshold was basically an arbitrary number that lawmakers agreed upon to differentiate between criminal possession and a civil infraction. Sponsoring delegates of the de minimis quantity bill have already settled on threshold amounts for all the other drugs covered under the proposed law. For cocaine, methadone and heroin lawmakers chose 300 milligrams, which is no more than a day’s supply for a regular user and much less than that for an addict. The threshold for MDMA and LSD would be five pills or tabs, and for amphetamine it would be 200 mg. If the law were to pass, anyone arrested with less than these amounts could not be arrested, but rather would receive a civil citation ranging from $100 to $500 depending on the prior number of violations. The law would also give the judge authority to order an offender under the age of 21 into a state approved drug education program. If this bill were to become law it would have a groundbreaking affect on the amount of arrests across the state, and the criminal dockets (especially the bail review dockets) would shrink considerably, as drug offenses are still the most common genre of criminal cases in the district and circuit courts. Decriminalizing simple drug possession could also impact the amount of probation violations throughout the state. The standard conditions of probation include the prohibition of using illegal substances such as cocaine and heroin, and while a civil citation for possession of one of these drugs would not be a new law violation it would qualify as a technical violation. Defendants on unsupervised probation would likely not be subject to any type of violation for receiving a civil drug possession citation. Decriminalizing di minimis drug possession would alleviate pressure on the courts, jails and police departments around the state. The money, resources and time saved could be dedicated to drug treatment instead of punishment, and dealing with more serious offenses such as violent crimes like assault and robbery. It is easy to get excited about living in a state that would rather treat drug users than throw them in jail, but it still seems like a pipe dream at this point. We’ve come a long way with marijuana and despite the federal government’s unwillingness to get with the program it appears pot smokers no longer risk being jailed in Maryland. It will probably take another decade or so before the same occurs with users of other drugs, but it is important for bills like this to stay relevant in order for the discussion to continue. So while we think this bill will ultimately flame out, it is definitely not a waste of time. 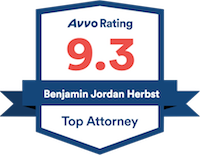 Benjamin Herbst is a criminal defense attorney in Maryland that handles drug offenses such as possession of heroin and distribution. Call Benjamin anytime at 410-207-2598 to discuss your state or federal criminal case.